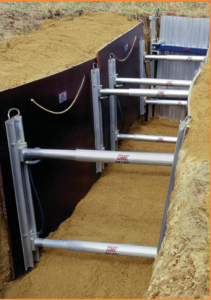 GME® VERTICAL SHORES are designed to prevent cave-ins in the most unstable soil conditions, by supporting the side walls of the trench through the use of hydraulic pressure. Some of the major benefits of shores are that they are quick, safe and simple to use. They are designed to be installed and removed from the top of the trench 100% of the time. They can be used as spot bracing for repair situations, or can be used for production trenching. 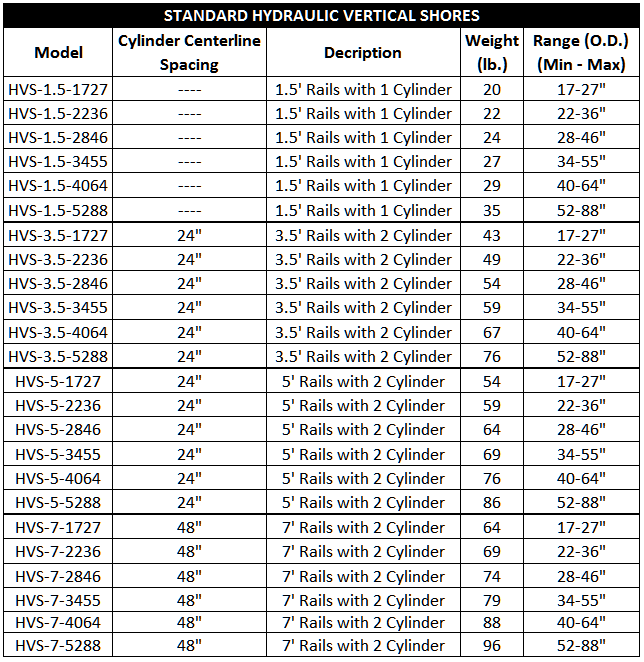 GME vertical shores come in standard sizes that range from 18" to 16' long. 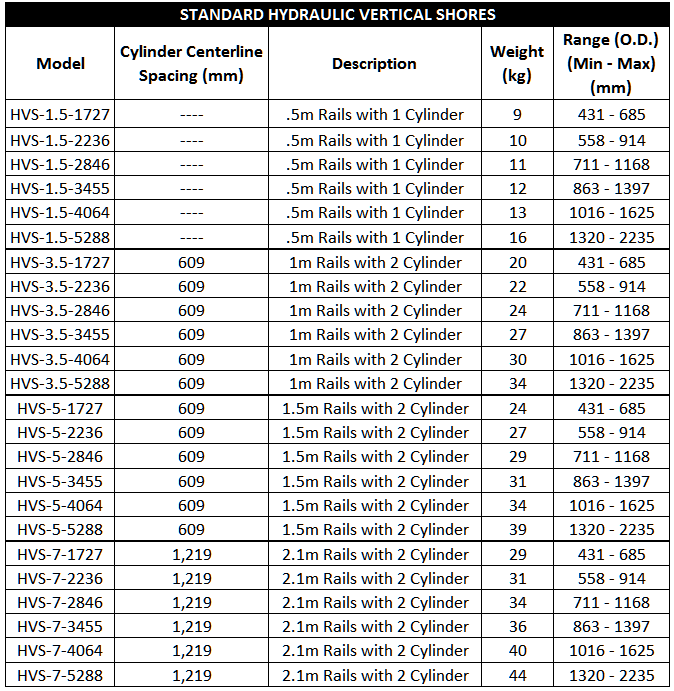 Standard sizes of hydraulic cylinders range from 17" to 88" wide. Extensions are available up to 15' wide.